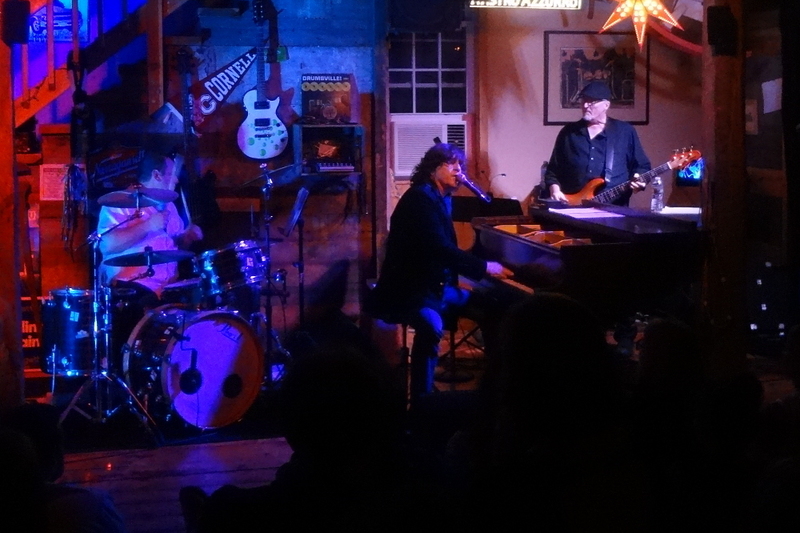 Bob Malone is one of the great rockin’ blues keyboardists of our time. Period. Berklee-trained, Bob has chiseled and honed his style among some of the best local musicians in Los Angeles, his performance skills polished over years in the studio and on the road. Since 2011 Bob’s “day job,” in fact, has been as John Fogerty’s keyboardist. And, of course, he has released some stellar blues recordings, performing his own stuff between his Fogerty gigs. 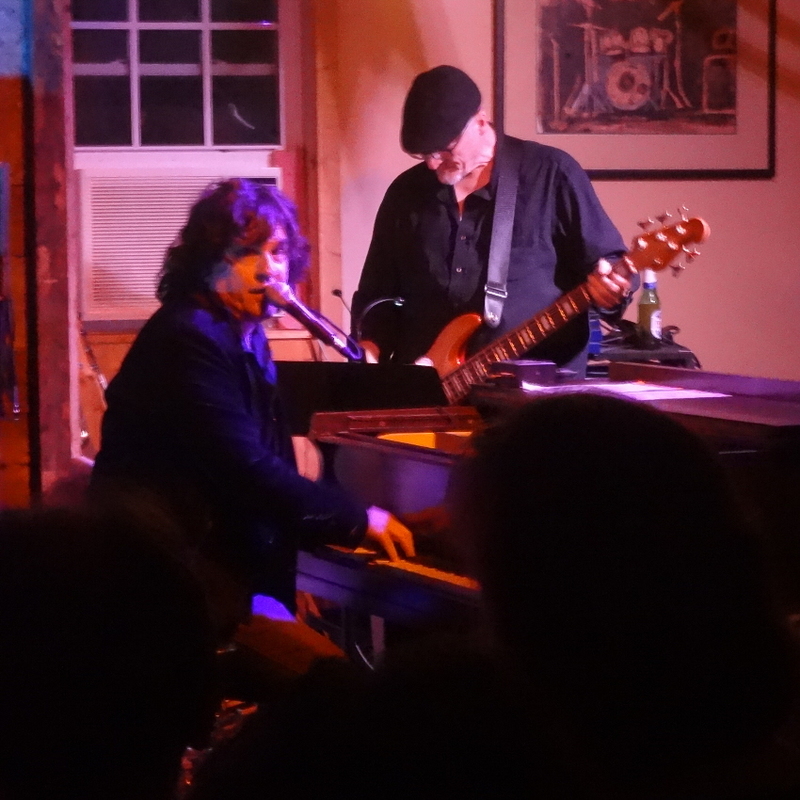 On Saturday night, in this intimate “house concert” performance space in an outer suburb of Boston, Bob treated an appreciative audience to his skills. 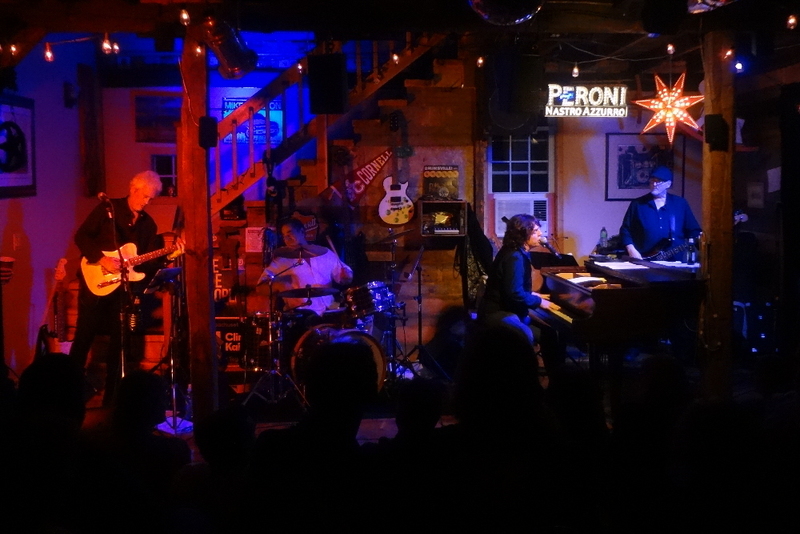 And he was supported by a great band – Jeff St. Pierre on bass, Chris Leadbetter on guitar, and his old college buddy Philip Antoniades on drums. I wasn’t sure what to expect, but I love catching Bob Malone with a full band, so this was perfect. Of course, those of you who have been reading the Blog from the beginning have seen my reviews of Bob Malone. Twice, to be exact. Both times within the first three months of launch. 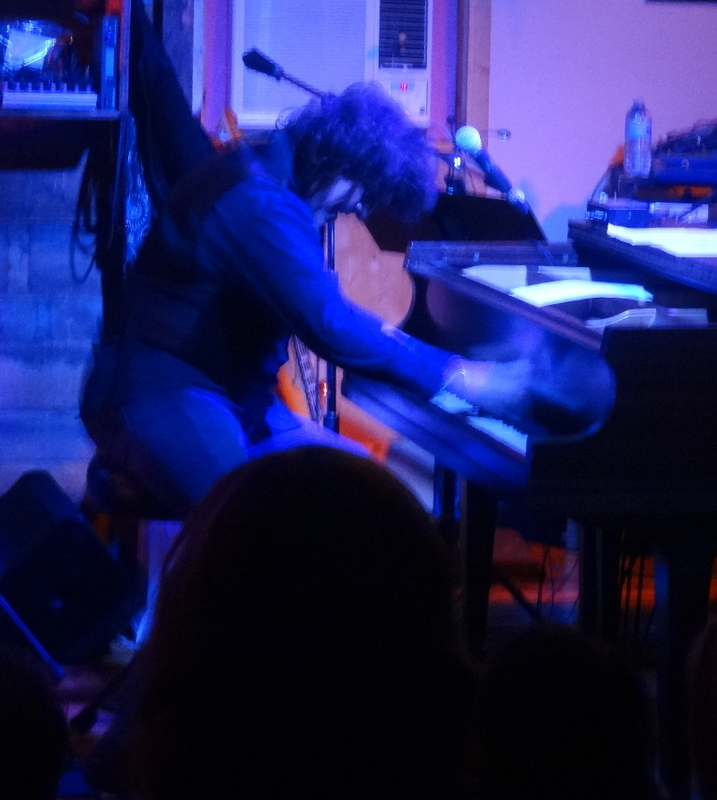 I reviewed Bob’s October 2015 concert at the 100 Club in London as part of my “Five Nights in London” series. And I reviewed Bob’s most recent album, Mojo Deluxe, in January 2016. So you know I’d be shocked – shocked! – if Bob didn’t deliver a world-class performance. Spoiler alert: He rocked the room! Bob kicked the evening off with a bang. A rollicking, rousing, energy-filled rendition of “Certain Distance.” He then followed it with one of my favorite instrumental numbers, “Chinese Algebra.” And a room-rocking performance of “I’m Not Fine,” always a song worth shouting along with at the top of your lungs. These are all songs from his most recent release, Mojo Deluxe. Bob reached back two decades to his 1996 The Darkest Part of the Night album for “I Know He’s Your Husband,” one of Bob’s songs on which his vocals sound the most Randy Newman-esque. Next up, “Don’t Threaten Me With a Good Time,” portrayed a room-electrifying energy and wow, I do love that guitar line. The intensity remained, as “Rage & Cigarettes” came next. What followed was a really cool rendition of Tom Petty’s “Southern Accents.” In the lead-in to this homage to Petty, Bob asked “someone” to please tape this performance because, after many not-quite-right attempts, he thought he finally had it down. Indeed, he did. Next up Bob dipped into his Born Too Late album for “Home to Me.” Light, melancholy; cool, almost jazzy. Very cool selection to showcase yet another side of Bob Malone. Bob picked things up again with chunky, “Walk This Way”-style Steven Tyler-inspire, fast-paced vocals on the next song (whose title I can’t read in my notes). The final two songs of Bob’s set were from Ain’t What You Know. First up was the title track, which turned into a serious jam, and was followed by a rowdy rendition of “Stay With Me” that transformed the end of Bob’s set into a disco ball-spinning dance party (of which there is some photographic proof a couple pictures down). Bob’s encore was the sentimental “Paris,” a slow, swaying, arena-filling ballad that’s a signature Bob Malone song, a sentimental, emotional, scene-painting, perfect selection to end the evening for an enthusiastic room full of his fans. I love gigs like this. 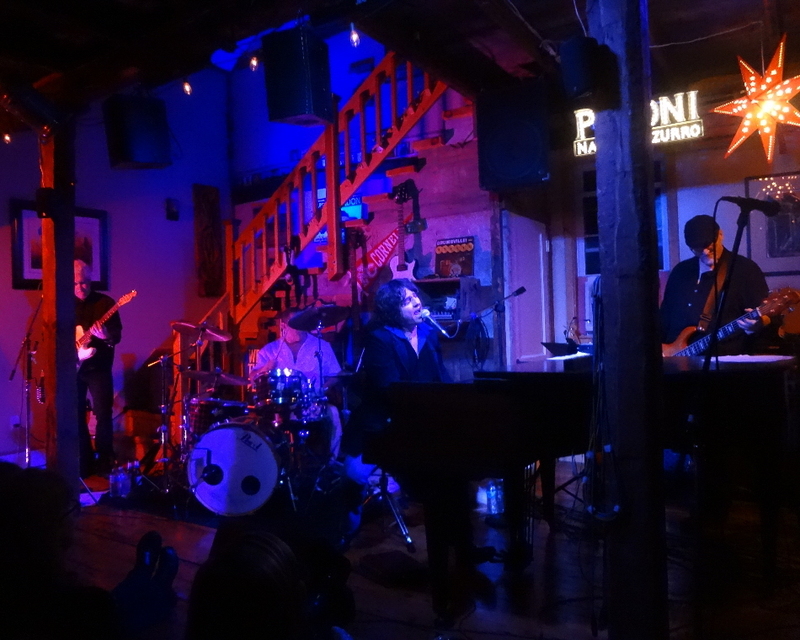 If you keep your eyes open, there are chances to catch some of the most talented musicians in the world in intimate settings full of friends and neighbors, and they’re truly special evenings. 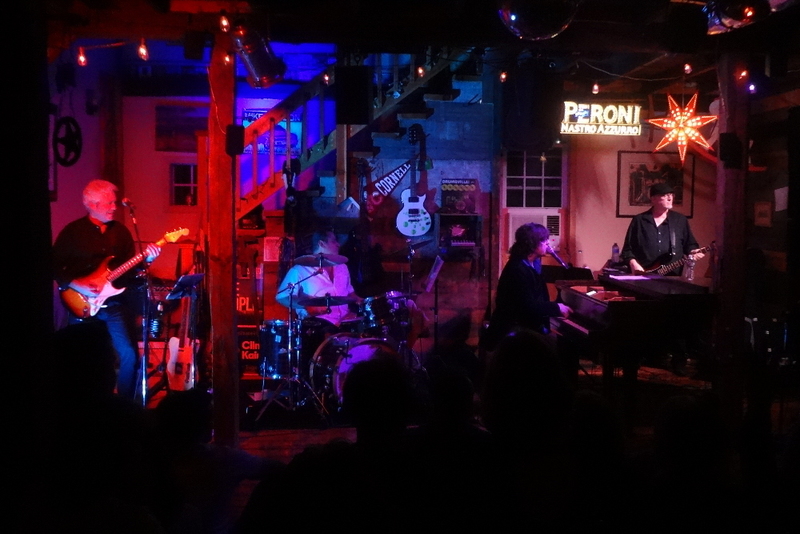 I’m glad to have finally made it to my first Barn #81 gig, too – I had heard about the shows in this cool setting. And I knew Bob had played here before, but until Saturday night I didn’t realize the concert series was run by one of his old college buddies from Berklee. 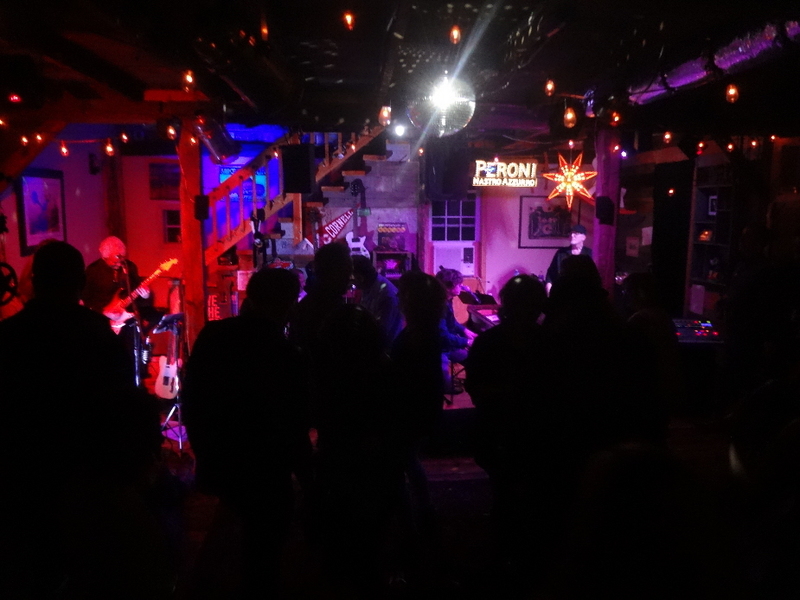 But hey, a friendly atmosphere with a talented band featuring one of the premiere blues musicians in the world, and it ended almost as a dance party? What a Saturday night! The “tour dates” page of Bob’s website lists several shows around the U.S. over the rest of 2017 and into 2018, with solo gigs in Georgia, North Carolina, Florida, New Jersey, New York, West Virginia, and Pennsylvania in the coming months, and performances as John Fogerty’s keyboardist in Oklahoma and Texas, plus a 10-day stretch of John Fogerty gigs in January in Las Vegas. Be sure to check Bob’s website for details and for additional performances as they’re added. 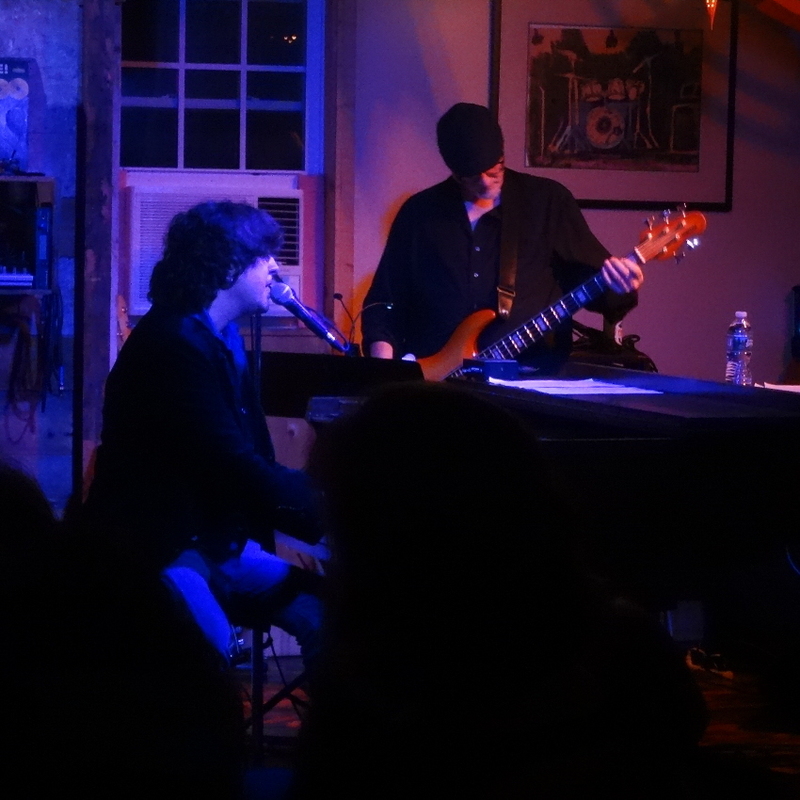 Barn #81 is a great venue, a relaxed atmosphere full of friends. I don’t see any future events listed on the Barn #81 Facebook events page, but I do see Jennifer Tefft will be there on Saturday, November 11th. I almost hesitate to mention it, though, because I still haven’t figured out if I’ll be able to get there that night, and I’d hate to see the show sell out before I get my tickets. This entry was posted in Live Reviews and tagged Bob Malone, Geoff Wilbur, Geoff's Night Out, Live Review. Bookmark the permalink.